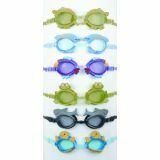 Animal goggles- green alligator - junior silicone seals & headband. Recreational. Adjustable nose bridge & gasket seals. 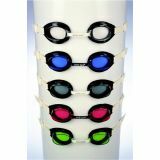 Anti-Fog Goggle Drops, 1 oz. 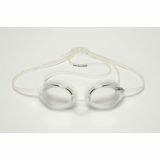 Anti-fog goggle drops- 1 oz. - fog clearing. Lens cleaning. Hypoallergenic. Astro star no-leak anti-fog goggles-blue plc. seals- competition. Clear lens. Packaging: clam shell. Adjustable nose bridge & gasket seals. 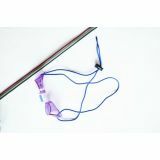 Bungee headband goggle strap- black - strong, durable Bungee cord fits any goggle. 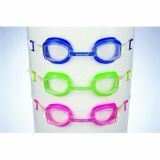 Barrel clip keeps goggle properly adjusted. Classic goggle- blue - Packaging: slide blister. Adjustable nose bridge and foam seals. 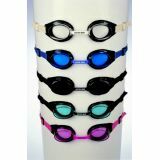 Classic goggles- blue - silicone headband. Recreational. Packaging: polybag. Adjustable nose bridge and foam seals. 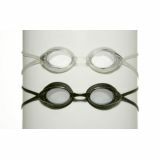 Competition I goggles- amber - latex headband. Racing. Adjustable nose bridge and foam seals. 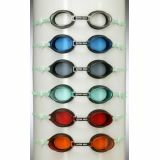 Cuda anti-fog goggles- amber- silicone seals. 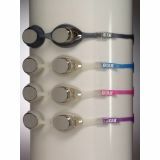 Split silicone headband. Competition. Slide blister. Fixed nose bridge. Silicone gasket seal. 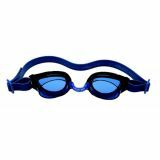 Cuda metallic anti-fog goggles- blue - same qualities as Cuda goggles but with glare-reducing metallic lenses. 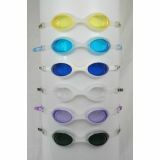 Deluxe goggles- blue - Packaging: slide blister. Adjustable nose bridge and foam seals. Diopter goggles/corrective lens: clear: -1.5 power. Dual silicone headband & gasket seal. Racing. Pac case. Anti-fog. Adjustable bridge. Diopter goggles/corrective lens: smoke: -1.5 power. Dual silicone headband & gasket seal. Racing. Pac case. Anti-fog. Adjustable bridge.